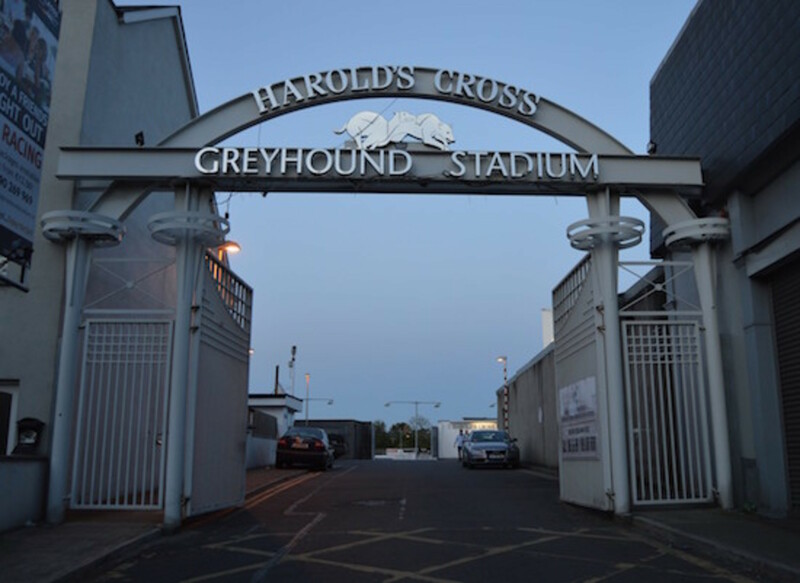 Harold’s Cross Greyhound Stadium – or the “working man’s track” – sits on a valuable patch of land. One that the Irish Greyhound Board wants to sell to pay off its debts in Limerick. But resistance from Dublin city councillors has so far prevented the land from being rezoned for residential use, something the board has been pushing for, as it’s eager to make the site as valuable as possible before the sale. At a public meeting on Monday night, local residents and dog trainers lined up to argue against the board’s plans to rezone and sell off the track. Their mobilisation was timely. At next week’s development plan meeting, councillors are due to vote on the rezoning. It’s zoned for recreational use, but the IGB announced in 2014 that it plans to sell the site to alleviate its debts, and it wants the site to be rezoned for residential use, to maximise its value. To date, councillors have been passing motions to stop this from happening. But Dublin City Council Chief Executive Owen Keegan has recommended that councillors relent and rezone the site residential in the Dublin City Development Plan, which they’re currently working on. The zoning of land in the development plan is one of the few areas where the power lies with the elected representatives, rather than council management. Late last year, IGB chief executive Geraldine Larkin lobbied councillors, asking them to support a push to rezone the site. But make the decision a bit easier, this time she suggested that the land be rezoned as Z12 – institutional land – which would allow for “the development of a new asset for the area,” according to the lobbying register. Land in that category can be used to develop residential units, but at least one-fifth of the site must be kept as open public space. 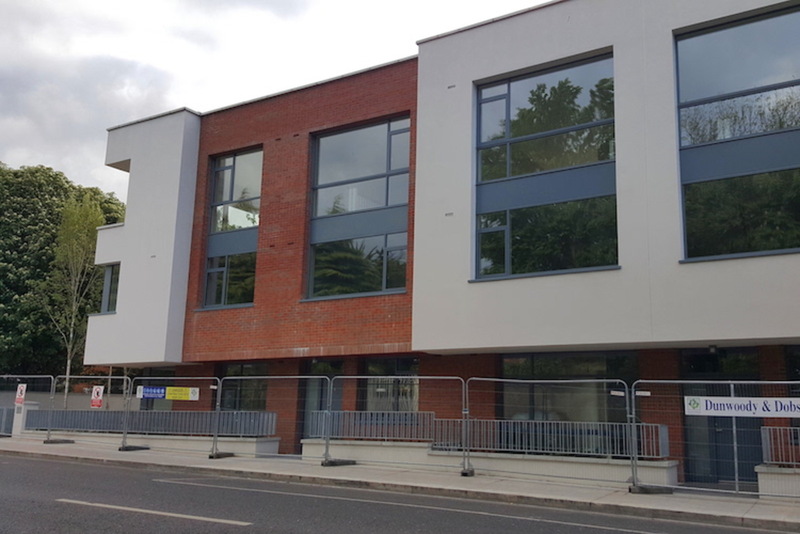 In March of this year, the IGB commissioned a report by planning consultants McCutcheon Halley Walsh, which claimed that selling off the land would not impact on local residents, because they already had access to plenty of open space in the area. This countered residents claims that there weren’t enough public amenities and spaces in the area. But The Press Association pointed out that about half of the “public open space” referred to in the report was privately owned Mount Jerome Cemetery. 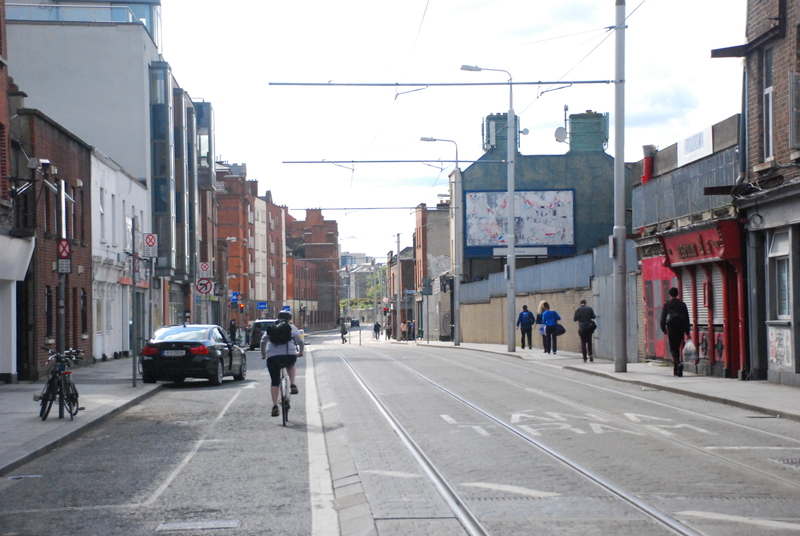 On Monday, in its latest bid to convince councillors and locals to change the land’s zoning before the Dublin City Development Plan for 2016-2022 is finalised, the IGB presented stakeholders with another compromise. At a meeting held inside the stadium by newly elected Fine Gael TD Kate O’Connell, the IGB displayed images of their latest vision for the site. It would be split into two parts: one-third of the site would remain zoned for green space and recreational use; the other two-thirds would be zoned for residential development. Sleek posters in the hall showed visions of apartments, fountains, and green space in place of the greyhound stadium. Irish Greyhound Board members kept their speeches short. IGB chair Phil Meaney simply said he was supporting the recommendations of the Indecon Report, a 2014 paper that recommended the sale of the stadium to offset €21 million in IGB debts it incurred building a stadium in Limerick. IGB chief executive Larkin spoke enthusiastically about the idea that two acres of open space would be kept for local people. Many of the locals in attendance didn’t seem happy at all, though. A steady stream of speakers, from residents and greyhound owners to councillors and concerned parents, all put forward arguments as to why the site shouldn’t be used for apartments and homes. James O’Hanlon, who said he was there to speak on behalf of the stadium’s greyhound owners, pointed out that there were 27 recommendations for the IGB in the Indecon report. “They haven’t acted on the other 26 as far as I know,” he said. Trainers wouldn’t adapt to Shelbourne Park — the stadium across town in Ringsend — because their dogs weren’t at the same level, said O’Hanlon. Workers at the track, the tote, the bar, and the restaurant would all be affected by a potential closure, he said. Conor O’Mahony said there were already a lot of developments with planning permission in the area, and argued there was a need for a local area plan. 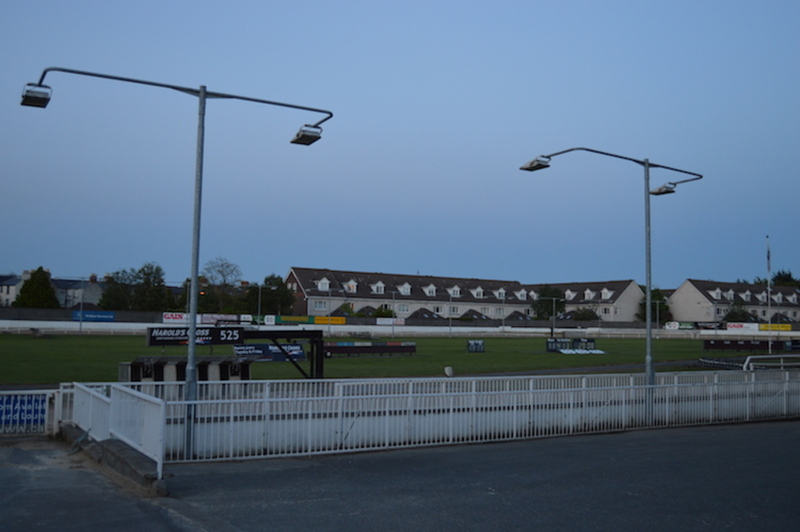 O’Mahoney, who is chair of the Harold’s Cross Village Community Council, which represents several residents’ associations in the area, said they wanted the stadium to stay as is. But if it has to change, it should become something that benefits that local community, like a school or a public amenity, he said. “The one that ticks most of the boxes for the community is a secondary school,” he said. There was also a representative of local parents who are hoping to start an Educate Together secondary school in the area and are eyeing up the site. It’s unclear from Dublin City Council’s map of planning applications whether or not the Harold’s Cross area is undergoing a boom in planning permissions. But local Labour councillor Mary Freehill argues that the area is going through big changes. “God isn’t making any more land in Harold’s Cross and we have to be very, very careful in the decisions that we make – not just for this generation, but for the many more to come,” she said. There are several planning applications and permissions in place for sites in the area, including 200 homes proposed for Mount Argus, 200 at the site of St Clare’s convent and another 200 at Marianella on Orwell Road. 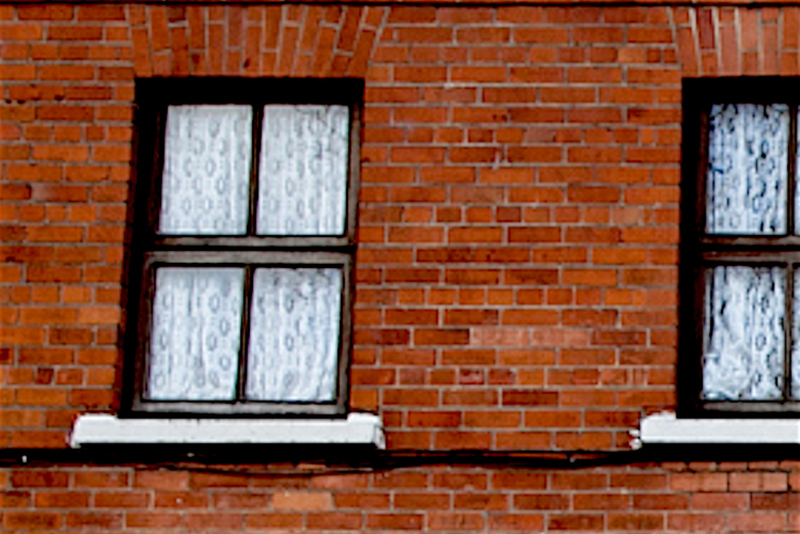 As O’Mahony of the community council sees it, the number of residential units in Harold’s Cross is going to skyrocket in the coming years, whether the greyhound stadium is redeveloped or not. And for this reason, the residents have been asking for a local area plan for years now. They’d hope this might mean amenities in the area might increase to match an increase in residents, he said. “The reason we want a local area plan is that it actually has legal standing, so if a plan is agreed it must be adhered to,” says Freehill. There’s no sign of one in the pipeline yet. Council management has said that there isn’t as much major development going on in the neighbourbood as councillors as residents say. But Freehill hopes that if councillors refuse to rezone the site, the city manager might oblige and create an area plan for Harold’s Cross. Michael O’Keefe, secretary of the Dublin Greyhound Owners and Breeders Association, has been coming to the track for 45 years. His brother-in-law got him involved, and they went halves on his first dog, which was called Lipari, he says. 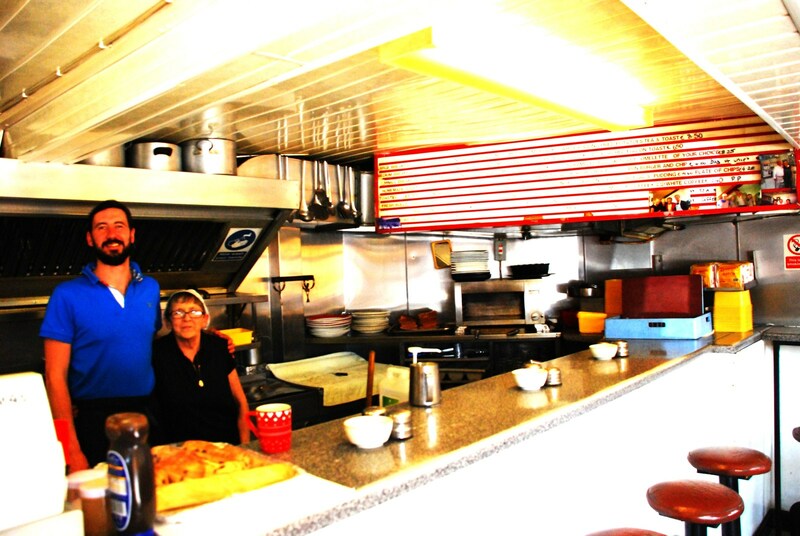 There’s also a fantastic tea room where trainers can socialise. Meaney, the chair of the IGB, says it makes sense to consolidate greyhound racing in Dublin. 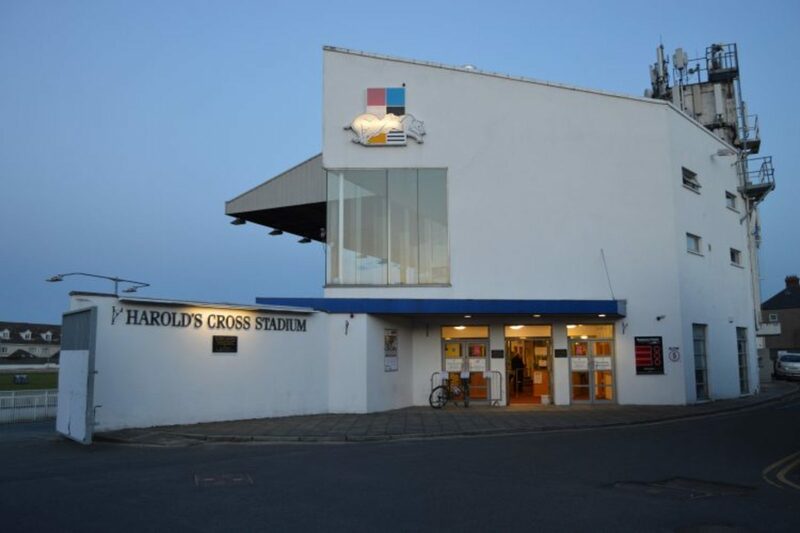 “I have said many times that the interests of Harold’s Cross greyhound folk will be looked after,” he says. There will be nights held in Shelbourne Park just for them, and the stadium will get a renovation to the standard of the Aviva Stadium or Croke Park, he said. At the meeting though, this idea was met with distrust, even contempt in some cases. “We can never trust them,” says O’Keefe, adding that it’s nothing personal, but trainers have experienced broken promises in the past. Even if the IGB kept its promises, though, the dogs that run at Harold’s Cross couldn’t compete with those running at Shelbourne Park. Big trainers come from overseas to race at Shelbourne, O’Keefe says, but Harold’s Cross Greyhound Stadium was always known as the working man’s track. The trainers look after their dogs in the morning, go to work. and then train them again in the evening. They pay hundreds for their pups, while trainers at Shelbourne Park can pay thousands. For now, it remains unlikely that any of the site will be rezoned for residential use. A motion listed for next week’s council meeting on the development plan calls for the track to remain a space for recreational use. The motion was submitted by councillors from across the political parties: Mary Freehill (Labour), Patrick Costello (Green Party), Ruairí McGinley (independent), and Chris Andrews (Sinn Féin). New Fine Gael councillor for the area Anne Feeney wasn’t yet a councillor when the motion was put forward, but she plans to support it too. A petition calling for the stadium to be saved has more than a thousand signatures, including nearly 900 online pledges, and handfuls of physical pages of signatures. Petitioners plan to present these to councillors before they vote at next week’s meeting. But just because the land isn’t rezoned doesn’t mean the stadium won’t be closed or sold. Larkin did not respond to queries asking whether the board would consider selling the stadium if the land wasn’t rezoned. But at the public meeting, she did say that other options to relieve the board’s debt were looked at, but weren’t viable. She said it would take the sale of three or four other stadiums around the country to accumulate the same amount that the sale of Harold’s Cross Greyhound Stadium would bring. The track is profitable, she said. But if it’s not sold, the IGB will still be repaying its debts in 15 years, and no investment would be made nationally in the meantime. “The survival of the greyhound industry is of utmost importance,” she said. In his corner, O’Keefe believes closing the track in Harold’s Cross would hurt the industry too. Some stadiums only take in a few dozen visitors some nights and they need to be subsidised. So far this year, the totes at Harold’s Cross Greyhound Stadium took in €784,933, a quarter of which (€196,000) went to the IGB. This doesn’t include takings from the restaurant or bar. As it stands, Shelbourne Park, Harold’s Cross Greyhound Stadium, and Curraheen Park in Cork are the only public stadiums making profits for the IGB. O’Keefe says the IGB should renegotiate its debt and push the loan back over 40 years. “It’s a semi-state body, and it should be able to renegotiate its debt with AIB, which is state-owned,” he says.